there are two reasons for this post – HEINZ EDELMANN passed away a short time ago, in july this year. only 75 years old. 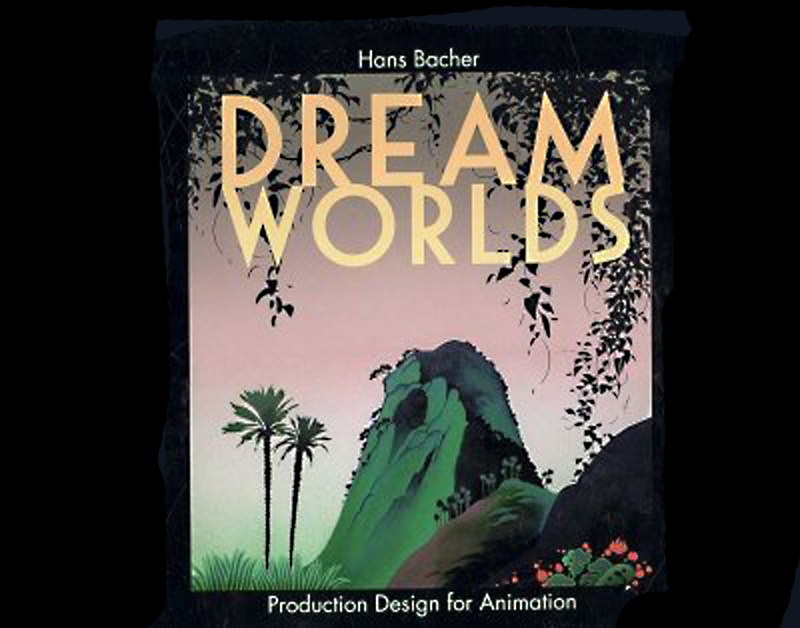 he became famous for his production design work on the animated feature YELLOW SUBMARINE in 1968, what is the second reason – apparently there are plans of a motion capture remake of this masterpiece from disney and zemeckis. I don’t want to comment on that. 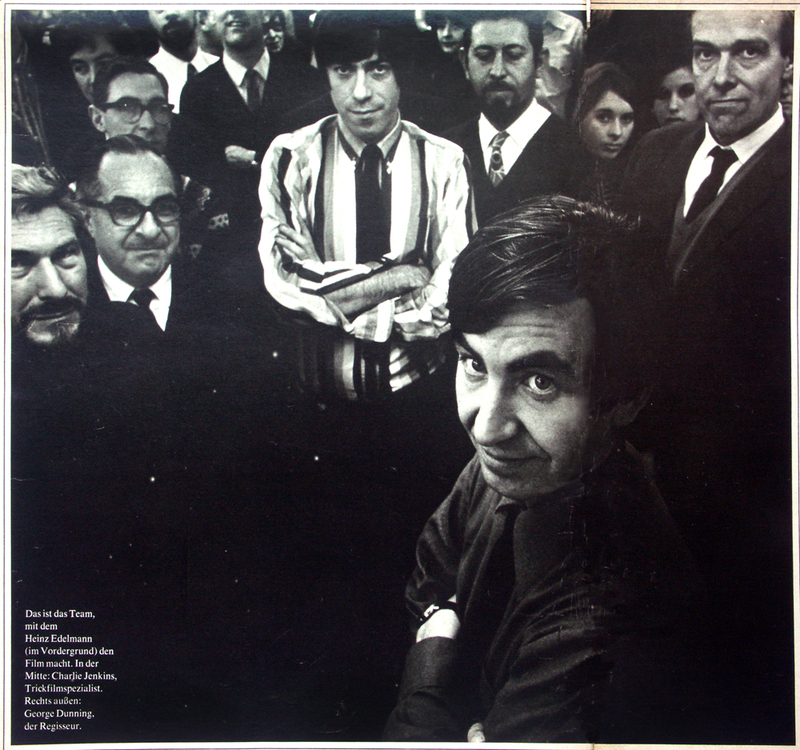 this is about HEINZ EDELMANN, who was one of my idols for all these years and I never had a chance to meet him. 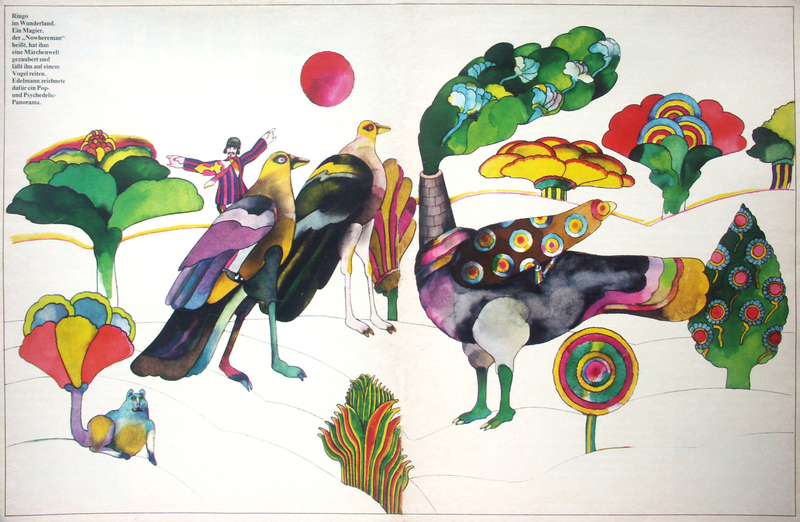 he was already a well known, respected illustrator and graphic designer of posters, bookcovers and advertising art, part of the famous german magazine TWEN when he accepted the offer to design this unusual, crazy pepperland musical. 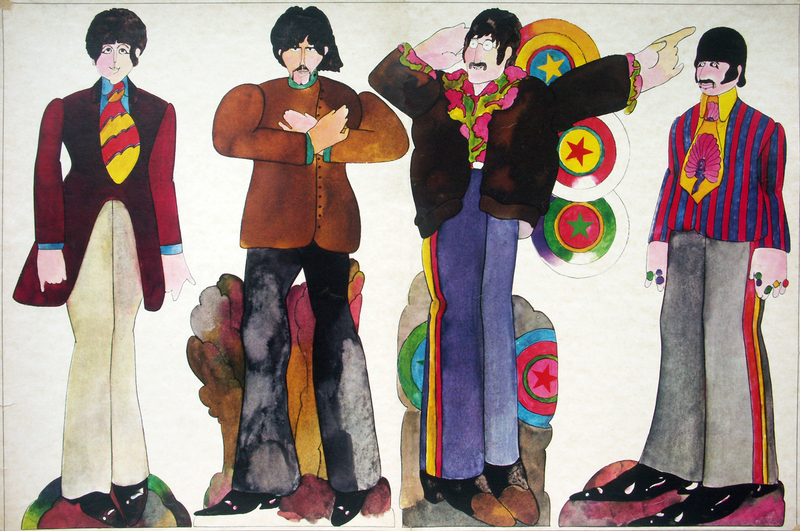 it was in 1967 that heinz edelmann received a call from CHARLIE JENKINS, the director of special effects on that animated film based on the songs of THE BEATLES. it was initially planned that edelman would only work eight weeks during which he would design the look of the movie. in the end he worked an entire year on YELLOW SUMARINE, often sleeping only four hours a night to complete the project. He was in charge of over 200 artists. the film would take a toll on edelmann’s health, it took him two years to recover from working on it. 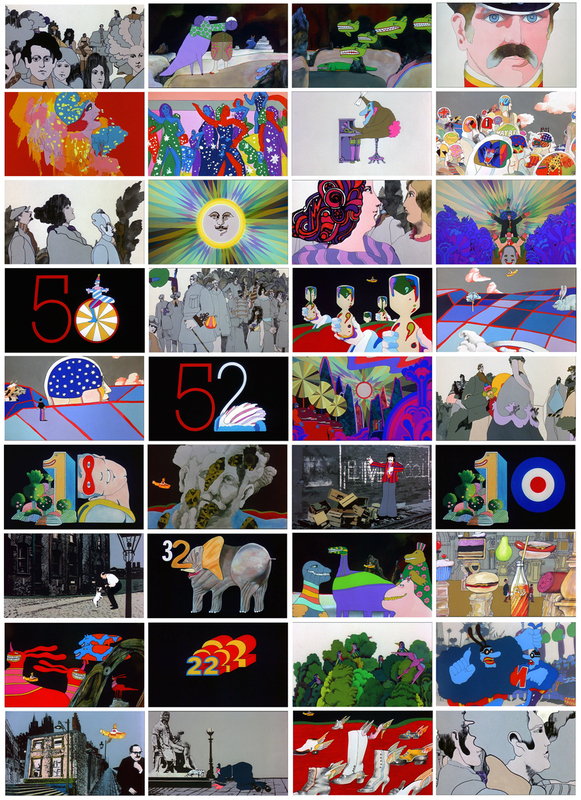 – once upon a time, or maybe twice, there was a place called pepperland… that’s how one of the most unusual feature films ever produced began. 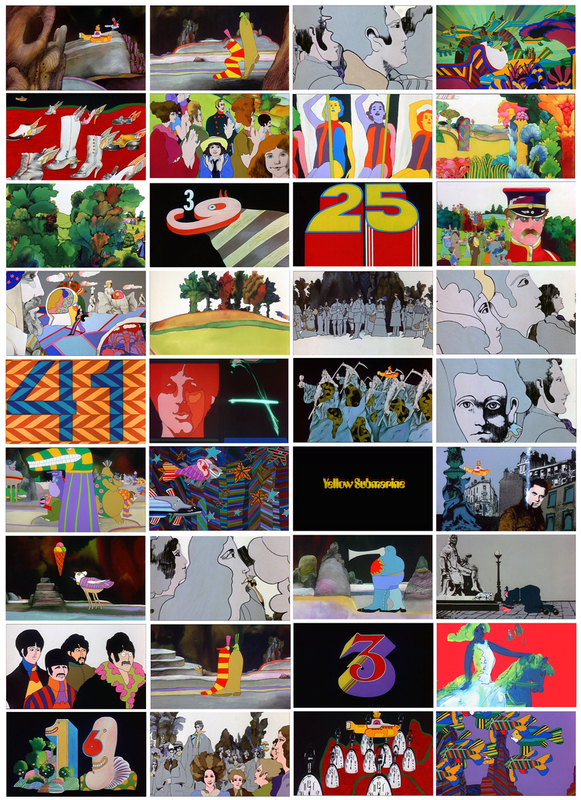 YELLOW SUBMARINE – 1967. produced by GEORGE DUNNING’s british TV-CARTOONS studio. 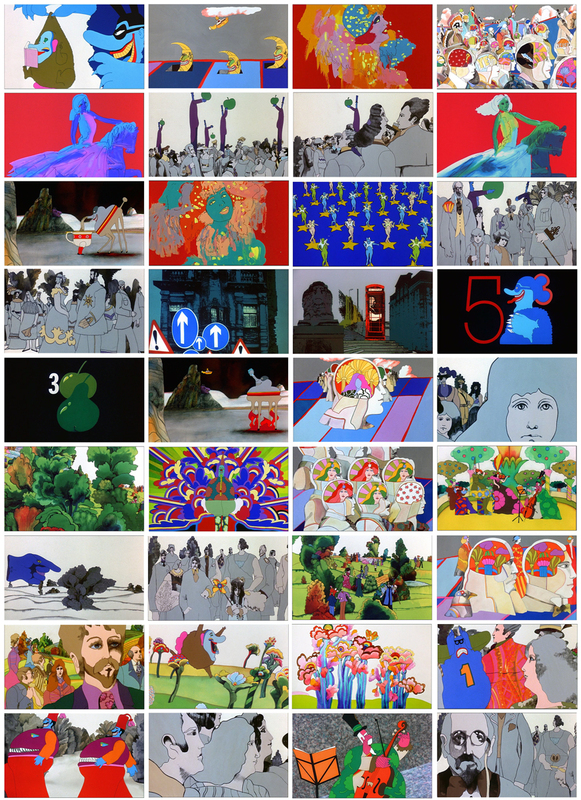 everything in this film is different, the story is completely crazy, the style of the characters and the settings are pop-art and never seen before, and the music of course – THE BEATLES, pop-music, never used in an animated feature film before. 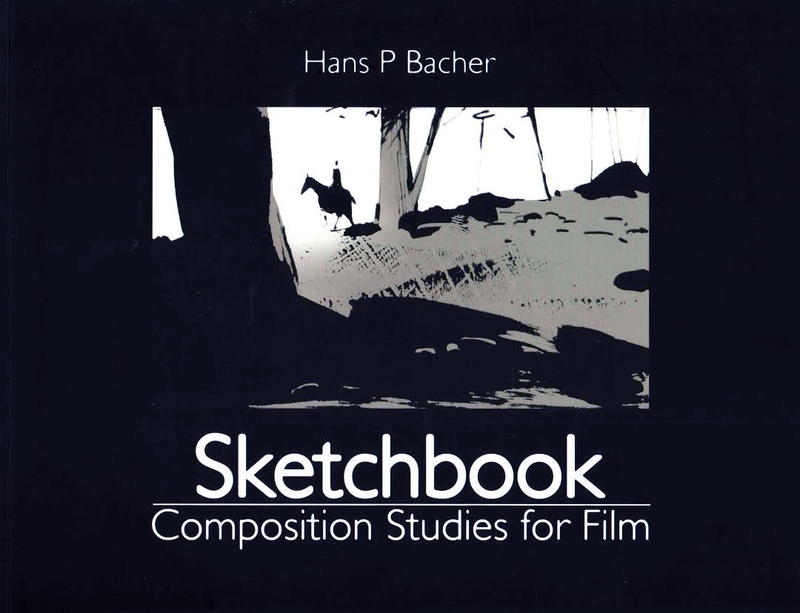 I just had started my studies at the university and the film blew me away. 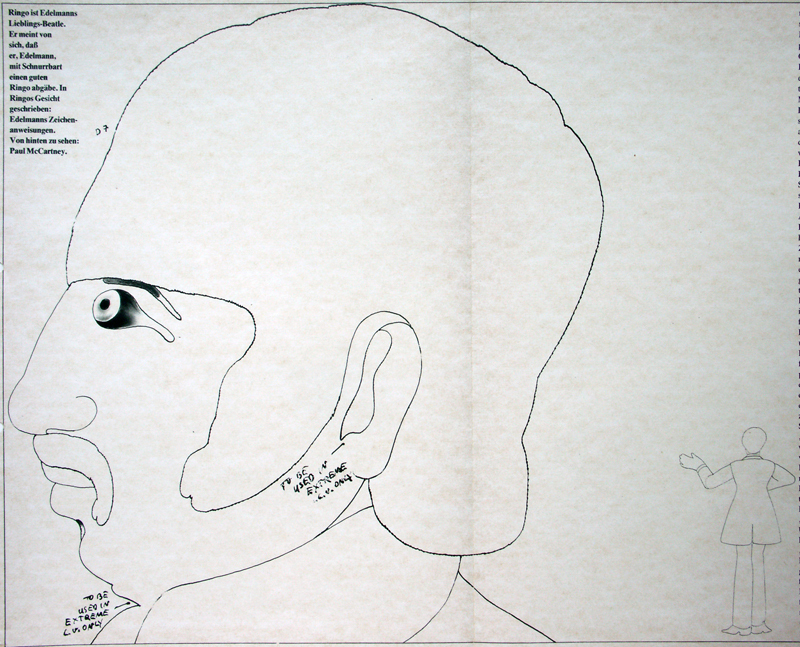 HEINZ EDELMANN, a german top illustrator and designer was responsible for the look. you have to see it yourself. IT IS A MASTERPIECE. so unique with unusual visual ideas, crazy animation, perfect translation of the music into pictures. as far as I remember it changed everything at least in europe in the animation field. 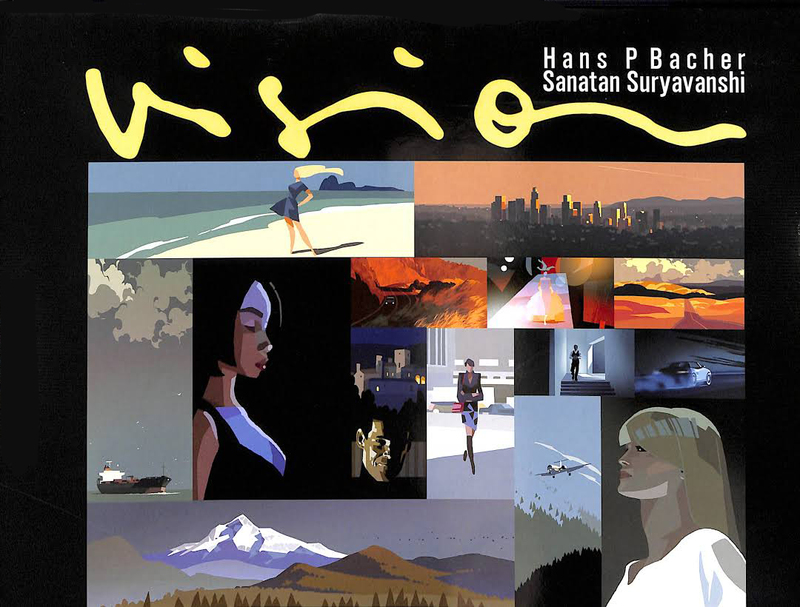 but as well in commercial art and illustration. and it opened the doors for a lot more musical adventures afterwards. one of them was PINK FLOYD’s – THE WALL. I will post some of that masterpiece later. 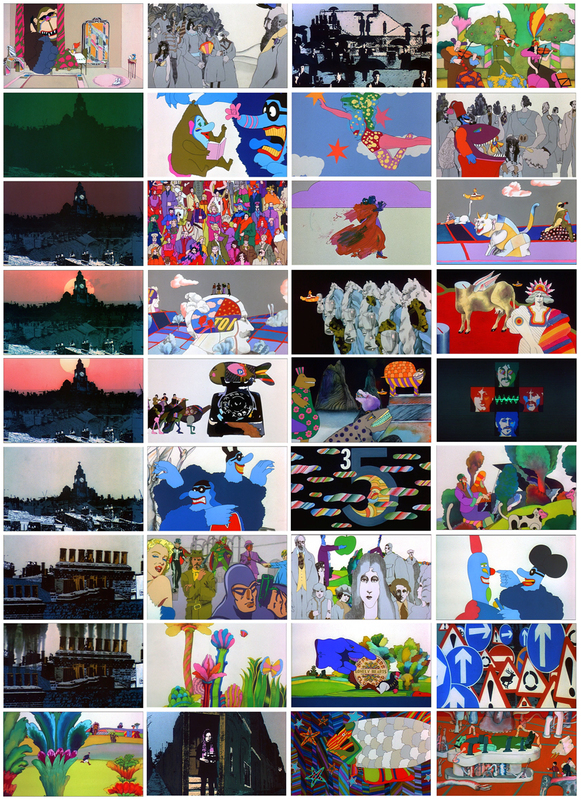 I only wanted to show you some of the atmosphere of YELLOW SUBMARINE in these few screen-captures. I guess somewhere a lot of that artwork still exists. so no need to restore some of it. and – I would not know where to start! what a movie!